Glenn Close saved her sister’s life! 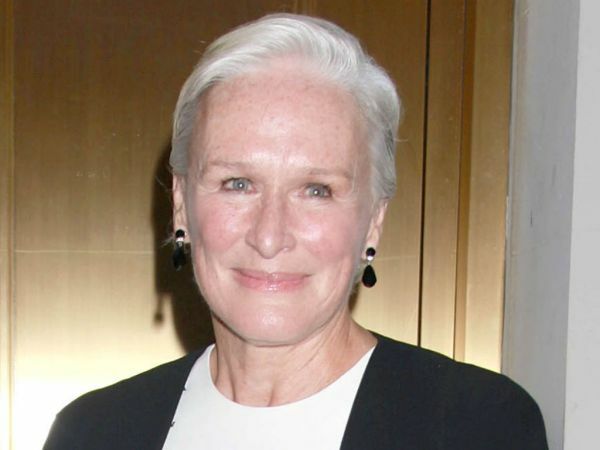 Glenn Close’s sister Jessie has revealed she saved her life. Jessie, who is six years younger than Glenn, admitted to her sibling back in 2004 that she was considering committing suicide. But just making the admission to her sister helped put things in perspective, Jessie revealed during an interview with People magazine. “There was a voice saying 'Kill yourself, kill yourself,'" Jessie said. "But I knew if I told her I might not do it. “I thank God Glennie was there. She saved my life." And Glenn was on hand to help Jessie get back into a more mentally sound place. "My first reaction was shock, then relief, then sadness that she was in that much pain," Glenn said. Just days later, Glenn (67) drove her younger sister to the McLean Hospital, where she was diagnosed with bipolar disorder. In the interview, Glenn revealed that she always knew there was something different about Jessie. But when she was a child, she wasn’t able to pinpoint exactly what it was. “I always knew my sister was different,” Glenn said. "She was incredibly imaginative and funny and unexpected." “But I remember seeing my sister rub between her thumb and forefinger until it was raw, and she was really little. Hurting yourself like that wasn't normal behaviour. But I was only 11." Jessie’s battle with bipolar disorder isn’t the family’s only history of mental illness. In addition, one of Glenn and Jessie’s uncles had schizophrenia while another committed suicide. However, Glenn says that learning to cope has served to bring her and Jessie even closer together. “I remember once reading a study how many creative families have mental illness,” Glenn said. “And Jessie said to me one day, 'Well, I guess I am the sacrificial lamb.' And you know, that's hard. It's sad and it's a struggle." “But I do think it has brought us closer together as a family."